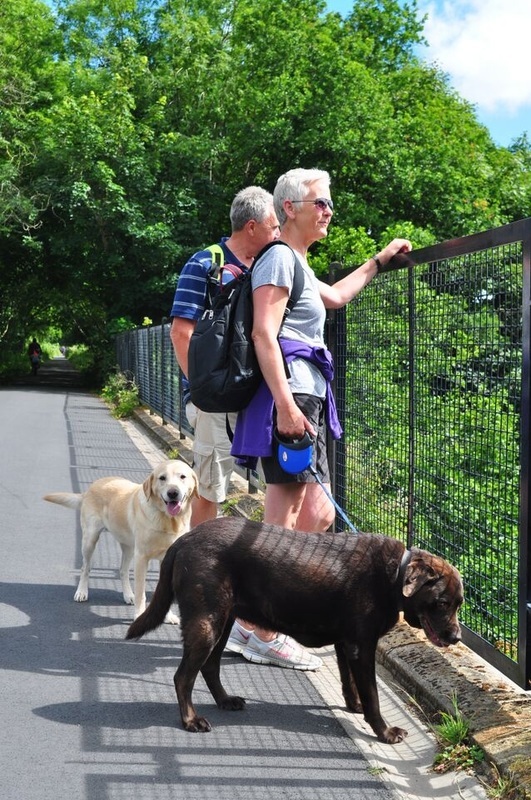 There is a great variety of places that are just perfect for your pooch not least the fabulous Tarka Trail. Please keep your dog under close control, particularly at busy times and always clean up after your dog. Bins along the Tarka Trail are all marked in the Guide with a red dog symbol. Help keep the countryside a safe, healthy and enjoyable place. North Devon has many farming communities and it is very important that dog owners never allow a dog to chase any livestock. Always keep your dog in sight and under close control; use a lead if you can't be certain they'll come immediately when called. Never let your dog chase farm animals; it causes serious injuries and your dog could be shot. Observe local notices when you’re out and about. There may be restrictions in woodland or on farmland at sensitive times of year, like in spring, during the lambing season, and between the beginning of March and the end of July when ground-nesting birds are on eggs or raising young chicks.